This is a follow-up article on the post I wrote some time ago in which I shared my experiences with meditation using omharmonics meditation music and the detailed review of the same. If you have noticed, I usually don’t write a review about a product or service on my website. However, this particular digital product deserved extra attention and was undoubtedly worthy of writing about it (and sharing with you) again. In this post, I am sharing my ongoing experiences and effects of meditation on my life ever since I began my journey with meditation a month ago. Just to let you know I am a full-time techie + part time blogger (now a fulltime entrepreneur) and had little time for meditation. Nevertheless, I decided to go ahead and try meditating. In fact, I am not doing a full-fledged meditation (sorry, for this unusual name, but I hope you got my point), all that I am doing is to plug in my headphones into ears and listen to this music called Om Harmonics. Well, as I mentioned in my earlier article, by listening to these meditation tracks, I was able to generate at least two new fresh thoughts inside my mind because my mind started feeling relaxed and being a music lover myself, these tracks definetely had a positive impact on my thinking patterns. Now, during last month, something more happened. It’s because I listened to remaining tracks of the OmHarmonics Package such as “Focus” and “Balance” mainly. And they were for sure, mind-modulators. I never expected that just listening to meditation music could have an effect on my mind and infuse so many new thoughts and steer me towards the better direction in my life with better clarity and vision. This single thing of bringing more clarity into my life excites me about these meditation tracks. I am sure there would be many other such tracks/apps already by numerous companies, and this was my first one which I got really connected. As a writer and busy techie,(freedom based entrepreneur), all that I wanted from these tracks was to soothe my mind and bring stillness in my life. I also wanted to bring my mind into creative zones quite often and stay there at least for a while. The tracks surely did that, and I am continuing to experience the benefits from them again and again. How Much Time am I Spending For Meditation? That’s an interesting question. You see, contrary to my earlier plans of keeping aside specific time for meditation, I decided to go easy on this. What I do is, whenever I feel I am becoming too busy, plug in the headphones and start slowing down. And this schedule (which is totally unscheduled) works very well with me. I also have a habit of taking notes whenever I come across some good things, and this is what I scribbled on my tiny board at home while listening to these tracks and during the one-week course of OmWeek. I don’t think I am qualified enough to share you very reliable information on meditation since myself very new to this, however, I did research and learn few more things about meditation. It was my visit to a local meditation center in my city and by reading a couple of good books on meditation. Meditation does have a profound effect on our outlook on life. Meditation can be defined in different ways, but this is really a broad concept that no measure of words can totally unveil its real sense. Meditation is best understood when experienced and felt rather than when explained. And although this cannot be measured by words, maybe you will be able to grasp it more easily in the light of its purpose. In fact, meditation dates itself back to pre-historic times where people used to chant mantras to appease gods. It did evolve itself into various forms, and whichever forms it may be, the goal was one; To bring calmness, improve focus and enhance the feeling of general good-being. And that’s why it is becoming more and more popular in today’s busy world. 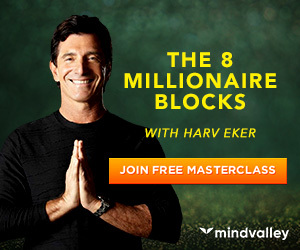 Want To Try Meditation These Meditation Audio Tracks Yourself? You can download Free OmHarmonics Meditation Audio using this link. You can also click on the image to download the tracks. 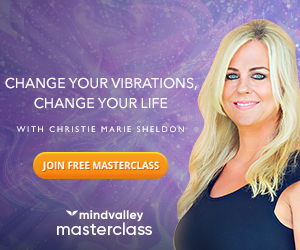 I am sharing a video by Vishen Lakhiani – founder of MindValley (A personal development digital publishing company) who takes you through a guided meditation session. Sit back and enjoy the video. 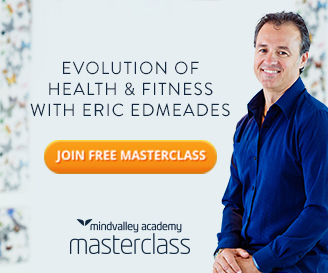 How To Enrol Your Self into 1 Week of Meditation Course for FREE? 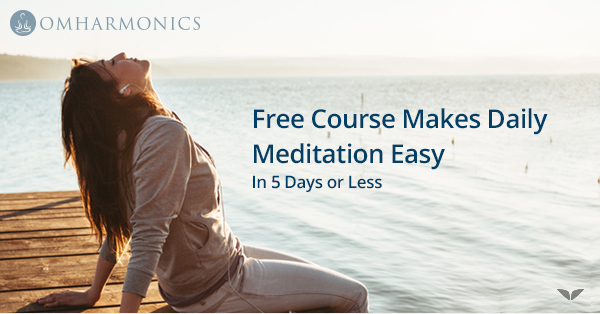 You can use this free enrollment link (This is same as a download link) and enter your email id, and you will receive a free OmHarmonics track and as well as begin your course of OmWeek (One-week Free meditation course). I am sure; you are very likely to benefit from those. Want To Buy These Tracks Right Now? Thanks for stopping by and sharing your comments. You can very well try out this package using the links mentioned in above article. That’s why I love listening to meditation music. It soothes my nerves and relaxes me. Great to hear that Shaun ! I love these tracks. Sooo relaxing. Glad that you felt the same !